I installed the Scala Rider G9x base to my helmet. I’m happy with my G9, but on the Harley I have difficulty hearing the radio, music, and forget about phone calls. The G9x let’s me plug in earbuds. So, I ordered Radian custom molded earplugs, and molded the earbuds into the earplugs. Now, even at 75 mph I can easily hear the radio and music, over the sound of the bike and wind noise, with a low volume. I was out enjoying some music on the cool, clear night and saw a brewery. Almost missed it. 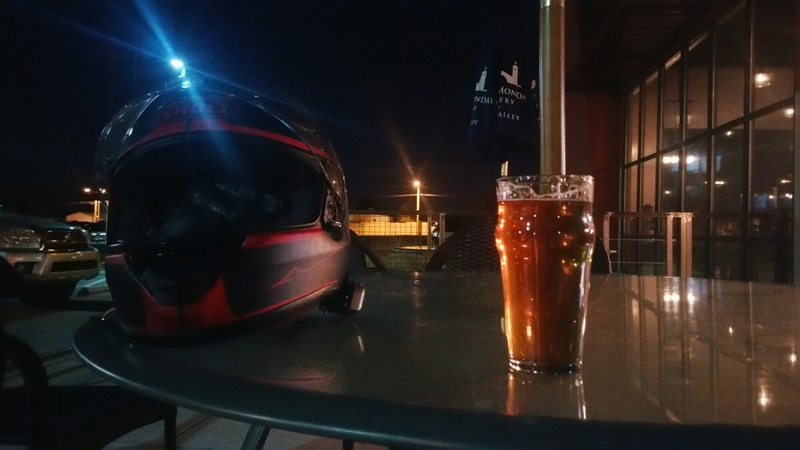 Hammered the brakes, crossed 2 lanes, and now I’m chilling out and enjoying a Bosque River Walker IPA before continuing on towards home. No music here, but it is a pleasant environment.